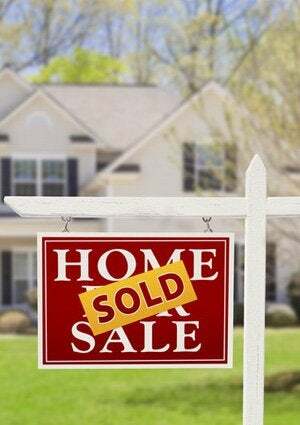 Selling your home is a lengthy process, but it can be made easier with proper preparation. Follow these four steps to spruce up your façade and make it absolutely irresistible to potential buyers. When it comes to putting your house on the market, you spend much of your time considering how to stage your rooms to look as homey as possible. But while your interiors are crucial to the selling process, your exteriors are just as important to making a memorable first impression. With simple DIY maintenance and a few easy updates, you can boost curb appeal for maximum selling success. A power washer will come in handy, as it can rid the driveway, garage door, fencing, and garden paths of dirt and debris and leave them looking as good as new. You might also consider washing the inside and outside of the windows—not only to get them sparkling, but also to ensure your spaces are flooded with as much natural light as possible. Take a look at the window trim and inspect the siding; if it’s looking a little worse for the wear, consider making the necessary repairs. Leaving them in disarray can make a home look older or in worse condition, which is not a characteristic most buyers are searching for. • Trim the shrubs carefully for a streamlined look. • Incorporate color by planting seasonal flowers, and ridding the yard of weeds. • Mulch planting beds—the wood chips will promote garden growth as well as prevent weeds from sprouting. • Consider planting a low-maintenance ground cover to fill bare areas. • Remedy dead areas of the lawn by laying down sod. And don’t feel limited to keeping your greenery in the yard! Window box installations can add a touch of classic curb appeal. Available in a variety of materials, sizes, and styles, there are options for every price range, making this an easy project you can achieve in an afternoon. Finally, place potted plants in visible areas like the entryway. In all of this, minimalism is key; you want to enhance the space, not add clutter to it. Your entrance should make visitors feel comfortable and truly welcome. Inspect your entry, starting with the flooring. Fasten loose boards in wood floors, fill any cracks or corners of concrete, and repaint any areas as necessary. Purchase a new doormat; then, while you’re at it, consider updates for your storm door, overhead sconces, knobs, knockers, and kickplates, too. An inexpensive fixture update can make all of the difference. Greet potential buyers with accents that are simple yet sophisticated, in order to appeal to the widest variety of people. Statement house numbers and a distinctive mailbox can offer the perfect finishing touches for a memorable entrance and exit. It might be a challenge to sell your house if it’s in dire need of a new hue. Potential buyers could be turned off by uncommon, fading, or bright shades, so you need to consider your best strategy for updates—whether it’s a whole-house paint job or simply shutter and column accents. Traditional hues, such as classic white, creamy off-white, warm taupe, light blue, blue-gray, or pale yellow, will draw buyers in and help them visualize how they will fit into the space. When in doubt, take a look at the colors of surrounding homes; in a selling situation, it’s typically better to fit in than stand out.